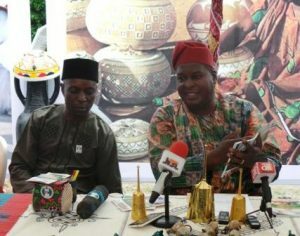 The Director-General of the National Council for Arts and Culture (NCAC), Otunba Segun Runsewe has moved to garner the support of the mass media in a bid to ensure maximum media coverage of the forthcoming African Arts and Craft Expo, AFAC slated for August 27th to September 17th this year. 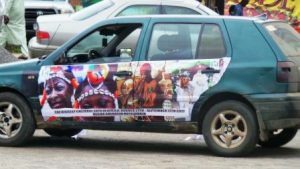 Hosting journalists from both the print and electronic media in a press briefing at the Arts and Crafts village in Abuja, the DG said he was highly delighted welcoming them to the symbolic headquarters of Culture in the Federal Republic of Nigeria. 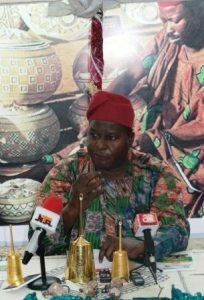 The purpose of the briefing according to Runsewe was to update the press, and indeed, all Nigerians on the activities of the National Council for Arts and Culture as it prepares for AFAC 2017 which promises to be the largest of its kind in Africa. Runsewe seized the opportunity to reiterate his pledge to unbundle the huge potentials in the culture sector to strategically drive the process of economic diversification in line with the policy thrust of the present administration. 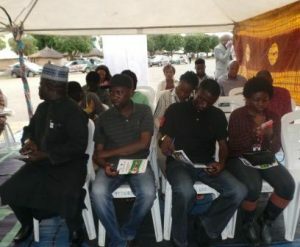 This, according to the NCAC chief, informed the theme of this year’s edition of African Arts and Crafts Expo; Our Culture: The Untapped Treasure, which he noted was carefully selected to draw attention to the vast opportunities in the sector, and mobilize Nigerians to take advantage of the opportunities therein for personal empowerment and the economic development of Nigeria. “This vision statement is far from being a mere slogan. It is borne out of our firm conviction that there are abounding opportunities in the Arts and Culture Sector that could be harnessed and channeled towards reinventing our economy.” Runsewe added. He intimated that the council has embarked on very wide and extensive consultations with stakeholders and key players in the industry, with a view to aggregating, harmonizing and mainstreaming all shades of opinions aimed at rebranding the Expo while also carrying out aggressive communication and marketing campaigns to raise national and international awareness on the event. Runsewe noted that he was hosting the pressmen deliberately at the arena which the 10th edition of AFAC will hold so they can witness firsthand the work done assuring that he, alongside his management was leaving no stone unturned in making this year’s exposition a unique one featuring unprecedented and memorable events especially in packaging and delivery. He further pointed to the massive construction and renovation works ongoing at the site affirming the essence was to give practical expression to the determination of elevating the exposition to an international standard that Nigeria and the whole of Africa would be proud of. Innovations expected at AFAC 2017 include, skill acquisition programme in order to build or enhance the capacity of our creative artists in various areas, Chefs will be invited to teach Nigerians and non-Nigerians alike the rudiments of Nigerian cuisines, experts would also be available to teach interested participants the simple ways of communicating in our major indigenous languages, there will be hosting of Cultural Attaches in Nigeria to a Pre-AFAC Dinner including an Investment Round-Table during the main event amongst others.